Secrets, Lies And Murder In 'The Likeness' To solve the murder of her own doppelganger, Detective Cassie Maddox assumes the dead woman's identity and enters into the complex, collective psychology of a charismatic group. Barrie Hardymon has a review. When the phrase "psychological thriller" appears on jacket copy, it's likely that psychological realism has gone out the window. But who cares as long as the book fits in your carry-on? 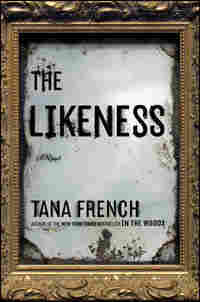 Tana French's mysteries break with that pattern: interior characterization drives these books, and both run to nearly 500 pages. But I defy you to leave either at home once you've turned the first page. 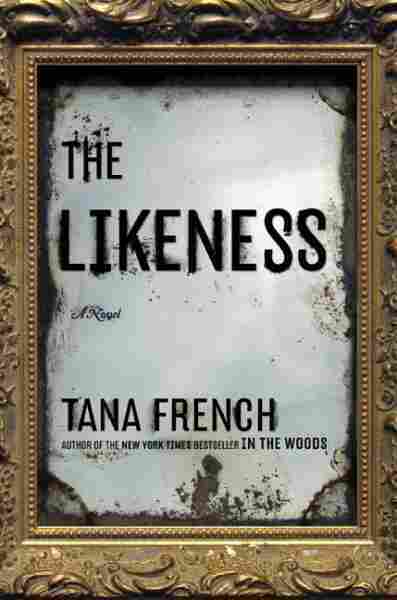 French's debut novel, In The Woods (the 2008 Edgar Award winner for best first novel by an American author), audaciously denied the closure that mystery fans crave; one of the crimes remained unsolved. Readers hoping that this follow-up novel would deliver that resolution should be disappointed for about a minute and a half — the time it takes for the new story to grip. Narrating The Likeness is a familiar voice, the plucky and impudent Detective Cassie Maddox, who is exiled to Domestic Violence after the events of In The Woods and ensconced in a shaky new relationship with eternal good guy, Detective Sam O'Neill. With the identity of both the victim and the murderer to resolve, Cassie's roguish ex-boss Frank Mackey persuades her to infiltrate — and occupy — dead Lexie's life. She does, inheriting an intense and exclusive group of friends, all of whom live together in an off-campus house with a past of its own that's as complicated as the stories of its inhabitants. The cagily charismatic group drinks, banters, screws and harbors its intimacies as seductively as the oddballs in Donna Tartt's classic The Secret History. As in that novel, the thrill comes in exploring the peculiar, collective psychology of the clique — the members of which keep secrets about Lexie's murder from outsiders and each other. Again, The Likeness isn't about solving mysteries so much as exploring them. Both Cassie and her departed double make the mistake of relishing their assumed identities and the ability to leave an old life behind. Both pay a price. Readers lost in their books may recognize a troubling likeness to themselves. Some nights, if I'm sleeping on my own, I still dream about Whitethorn House. In the dream it's always spring, cool fine light with a late-afternoon haze. I climb the worn stone steps and knock on the door — that great brass knocker, going black with age and heavy enough to startle you every time — and an old woman with an apron and a deft, uncompromising face lets me in. Then she hangs the big rusted key back on her belt and walks away down the drive, under the falling cherry blossom, and I close the door behind her. The house is always empty. The bedrooms are bare and bright, only my footsteps echoing off the floorboards, circling up through the sun and the dust motes to the high ceilings. Smell of wild hyacinths, drifting through the wideopen windows, and of beeswax polish. Chips of white paint flaking off the window sashes and a tendril of ivy swaying in over the sill. Wood doves, lazy somewhere outside. In the sitting room the piano is open, wood glowing chestnut and almost too bright to look at in the bars of sun, the breeze stirring the yellowed sheet music like a finger. The table is laid ready for us, five settings — the bonechina plates and the long-stemmed wineglasses, fresh-cut honeysuckle trailing from a crystal bowl — but the silverware has gone dim with tarnish and the heavy damask napkins are frilled with dust. Daniel's cigarette case lies by his place at the head of the table, open and empty except for a burnt-down match. Somewhere in the house, faint as a fingernail-flick at the edge of my hearing, there are sounds: a scuffle, whispers. It almost stops my heart. The others aren't gone, I got it all wrong somehow. They're only hiding; they're still here, for ever and ever. I follow the tiny noises through the house room by room, stopping at every step to listen, but I'm never quick enough: they slide away like mirages, always just behind that door or up those stairs. The tip of a giggle, instantly muffled; a creak of wood. I leave wardrobe doors swinging open, I take the steps three at a time, I swing round the newel post at the top and catch a fl ash of movement in the corner of my eye: the spotted old mirror at the end of the corridor, my face reflected in it, laughing. This is Lexie Madison's story, not mine. I'd love to tell you one without getting into the other, but it doesn't work that way. I used to think I sewed us together at the edges with my own hands, pulled the stitches tight and I could unpick them any time I wanted. Now I think it always ran deeper than that and farther, underground; out of sight and way beyond my control. This much is mine, though: everything I did. Frank puts it all down to the others, mainly to Daniel, while as far as I can tell Sam thinks that, in some obscure and slightly bizarro way, it was Lexie's fault. When I say it wasn't like that, they give me careful sideways looks and change the subject — I get the feeling Frank thinks I have some creepy variant of Stockholm syndrome. That does happen to undercovers sometimes, but not this time. I'm not trying to protect anyone; there's no one left to protect. Lexie and the others will never know they're taking the blame and wouldn't care if they did. But give me more credit than that. Someone else may have dealt the hand, but I picked it up off the table, I played every card, and I had my reasons.